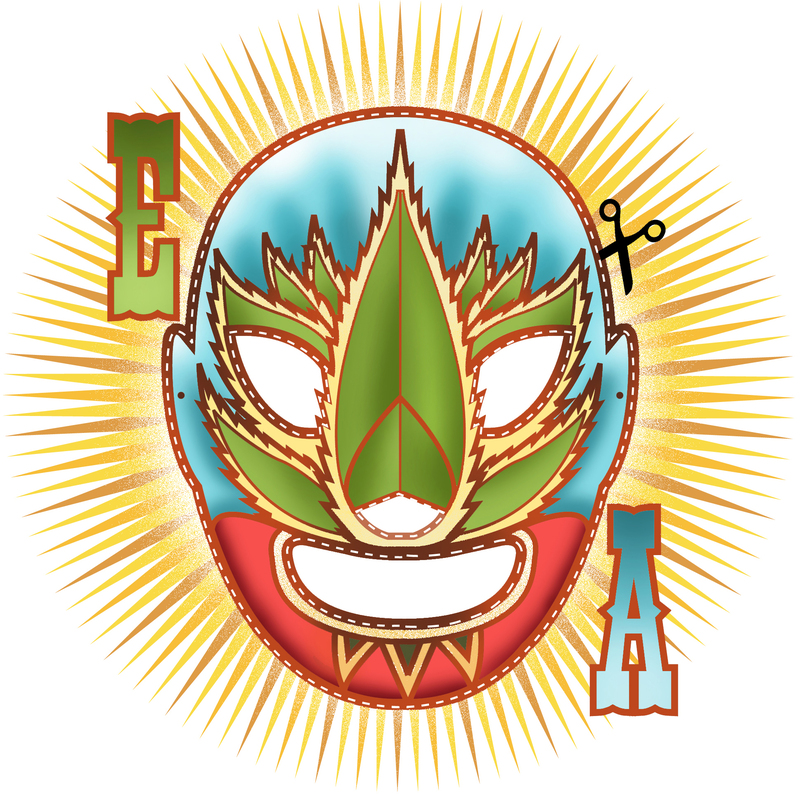 To help RR readers with their own last-minute costume dilemma, I’ve created the mask above … the mask of EL AGAVE, Champion of Succulents everywhere! Just add spandex tights and a cape and you’re done! 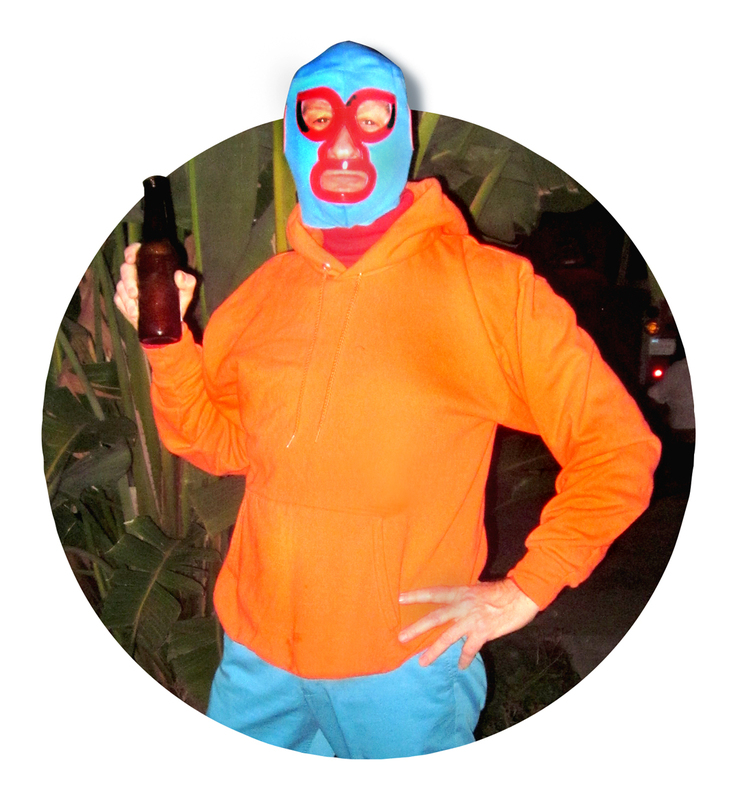 To have this mask for your own, click on the image once for preview size, then again for full size. Print on stiff paper (either on your home printer, or at Fed-Ex office) at 100 to 150% (depending on your head size); cut along the dotted lines and add a rubber band to secure. A paper luchero mask might seem like a chintzy costume but it beats a white sheet with two eyeholes … need more convincing? Click ‘read more’ to see a gallery of current notables wearing it and not looking silly at all. Masqueraders, from the top: 9-lover and GOP candidate-come-lately, Herman Cain; Tan-orexic, boozy ‘Shore’-thing, Snooki; new guy and fancy dancer, Chaz Bono; North Korean megalomaniacal nut-job, Kim Jong Il; teen swoon-inducer and shampoo model, Justin Bieber; and lastly, wild-eyed former Tea Party heartthrob, Michele Bachmann. 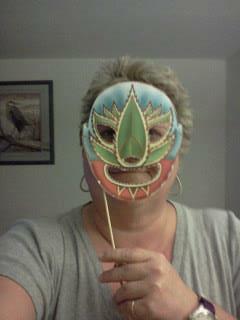 Regular reader, Kim Fasching, sporting RR's El Agave mascara! chuckle chuckle and then Michelle B Laugh so hard out loud! thanks!! She’s the scariest, for sure! And to think that I was going to wear my great white shark mask…AGAIN! Thank you!! Haha… send me a pic, Kim! Cool… Send a pic, Loree!